“[A]n extremely promising development,” is how the director general of the World Health Organization (WHO) has described the newly developed Ebola vaccine that current trials in Guinea show to be 100% effective against the disease. The organization is so confident in the results that it has stopped randomization in the trial so that all at-risk people can become vaccinated. Prior to this decision, only those who were within close contact with a known Ebola patient were given the vaccine if they volunteered to be part of the trial. Immense credit is being given to the Guinean government and those communities that played a role in the vaccine’s testing. The trials will continue in a more expanded form that the WHO hopes to see include as many 13- to 17-year-olds as possible and potentially children age six or higher. This will both cover more at-risk groups and allow for more definitive evidence to be gathered for the vaccine’s eventual licensing. Front-line health workers will also participate in the trial. The vaccine, currently named “VSV-EBOV,” was developed by the Public Health Agency of Canada. The Guinea trials were implemented by the Guinean government, WHO, Doctors Without Borders, and the Norwegian Institute of Public Health with the backing and support of numerous international and national groups. Other vaccines are also being tested, but so far none are showing the same level of promise. Since the Ebola epidemic began last year, over 10,000 people have died across Guinea, Sierra Leone, and Liberia—the three most affected countries. In Liberia alone, over 4,000 people have died from the disease. This includes a 17-year-old girl who died after Ebola was thought to have been eliminated from the country in May. 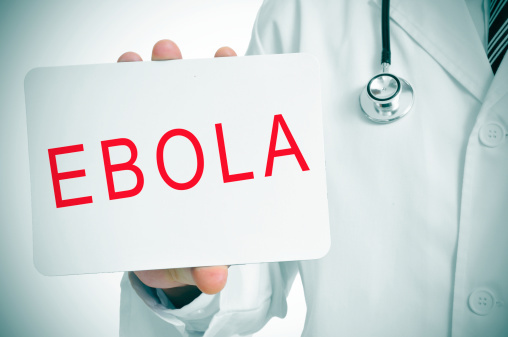 Ebola is transmitted by fluids from an infected person. Death usually results from low blood pressure due to fluid loss from intense vomiting and diarrhea, and reduced liver and kidney function. Although most well-known as a hemorrhagic fever, the bleeding from mucous membranes normally associated with Ebola is actually a less common symptom. Smith-Spark, L., “WHO: Trials Show Ebola Vaccine Is ‘highly Effective’,” CNN, July 31, 2015; http://www.cnn.com/2015/07/31/health/guinea-ebola-vaccine/index.html.